Killer Mike of Run The Jewels. After appearing in an interview with NRATV, the rapper claims his appearance was misused by the gun advocacy organization. NRA host Colion Noir opens the video by addressing the protesters directly. "What are you really marching for? Because from where I'm standing, it looks like a march to burn the Constitution and rewrite the parts you don't like in crayon," he says. Noir goes on to add that "no one can point this out better than Killer Mike." 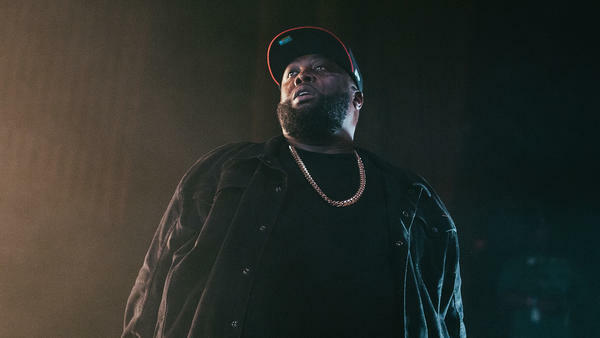 But by Sunday evening, following an online outcry from fans and gun control advocates, Killer Mike issued an apology for his appearance on the show and said the NRA misused it "as a weapon" against Saturday's marches. Mike added that his appearance was intended to focus on gun ownership by black Americans. "I did an interview about black gun ownership in this era," Mike said in his statement. "That interview was used a week later to disparage a very noble campaign that I actually support ... I want to say first I'm sorry guys. I do support the March — and I support black people owning guns. It's possible to do both." The position isn't new for the rapper — a year ago, he appeared on the Tavis Smiley show to say the NRA has "had a value to me my entire life," and that he is a member of the organization. "I think that one million black men should go online and just get a year's membership, and see how you like it." Killer Mike's partner in the duo Run The Jewels, El-P (otherwise known as Jaime Meline), initially commented on the NRA's stance against the marches, tweeting "they didn't want to be known, they wanted to be kids. And they've earned being heard in one of the hardest ways possible. No matter what you believe we all have to listen in a real way." Meline didn't respond to the controversy engulfing his artistic partner until last night, when he wrote that he wouldn't cut ties with Mike over the dustup. However, "I wanna f****** strangle him 'cause it's so stressful to watch when it could have been avoided." He added that "while I'm bummed at the way this unfolded, I will always f*** with him." Since the release of his 2012 breakout solo album R.A.P. Music — for which Meline produced the majority of beats, the beginning of their successful collaboration — Killer Mike has become known for his political engagement, including vociferous support of Bernie Sanders in the last presidential election and fairly nuanced dissections of institutionalized racism in his work. But the rapper, born Michael Render, has never been one to turn his cheek away from an unpopular opinion, equating Presidents Bush and Obama to talking heads "telling lies on teleprompters" in his song "Reagan." John Oliver recently dedicated a lengthy segment to NRATV, framing the network as being primarily for the advertising of guns and, obviously, the support of viewpoints that encourage gun ownership. Killer Mike's interview with Noir was sponsored by gun manufacturer Mossberg.